Photo: Who knows the family of a student, Celestina Emmanuel Ekom involved in terrible motor accident? 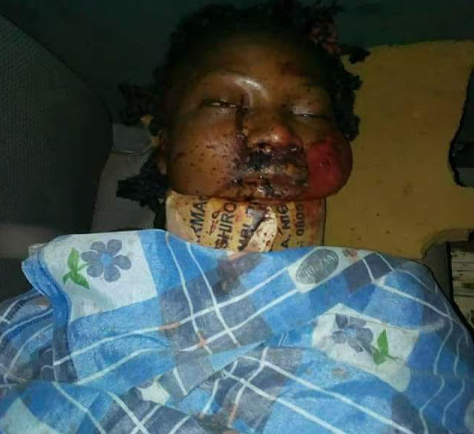 A Student of School of Health Technology, Keffi, Nasarawa State, identified as Celestina Emmanuel Ekom, is in coma after a road accident which occurred three days ago. A matter of urgency, this is a STUDENT OF SCHOOL OF HEALTH TECHNOLOGY KEFFI, by name: CELESTINA EMMANUEL EKOM, FROM EVT4: on her resumption to school this evening she had a very terrible and severe accident, which we are still unable to recognize her or get any information about her family Please if you know her or you recognize her, or her parents or any of her Relatives,FRIEND. NOTE: Right now,they on their way to NATIONAL HOSPITAL ABUJA. PLS LET CONTINUE TO TRAVAIL IN PRAYER FOR HER SAKE, FOR QUICK HEAL AND RECOVERY.